While his appearance in The Force Awakens was basically a cameo, fans have been clamoring for a new Luke Skywalker action figure to join the rest of the cast from the current trilogy. For more than two years, the Jedi knight has remained in seclusion on Acht-To, but this weekend at San Diego Comic-Con, Hasbro will finally deliver Luke. Along with a new Jedi-in-training Rey, Luke will be part of The Last Jedi exclusive offered at this year’s convention. The past three San Diego Comic-Cons, Hasbro has unveiled a different last-minute Star Wars Black exclusive just before the show begins. Ahead of The Force Awakens, it was a First Order Stormtrooper. Before the release of Rogue One, it was a Jyn Erso. 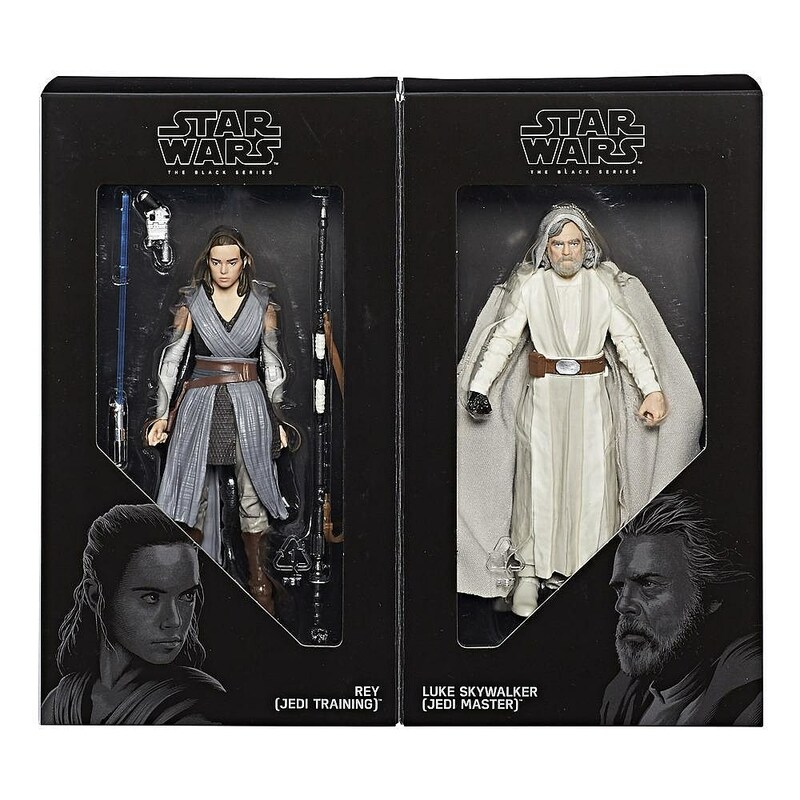 The company is taking things up a notch this year, offering not one, but two major characters in a special set meant to commemorate the release of The Last Jedi this December. 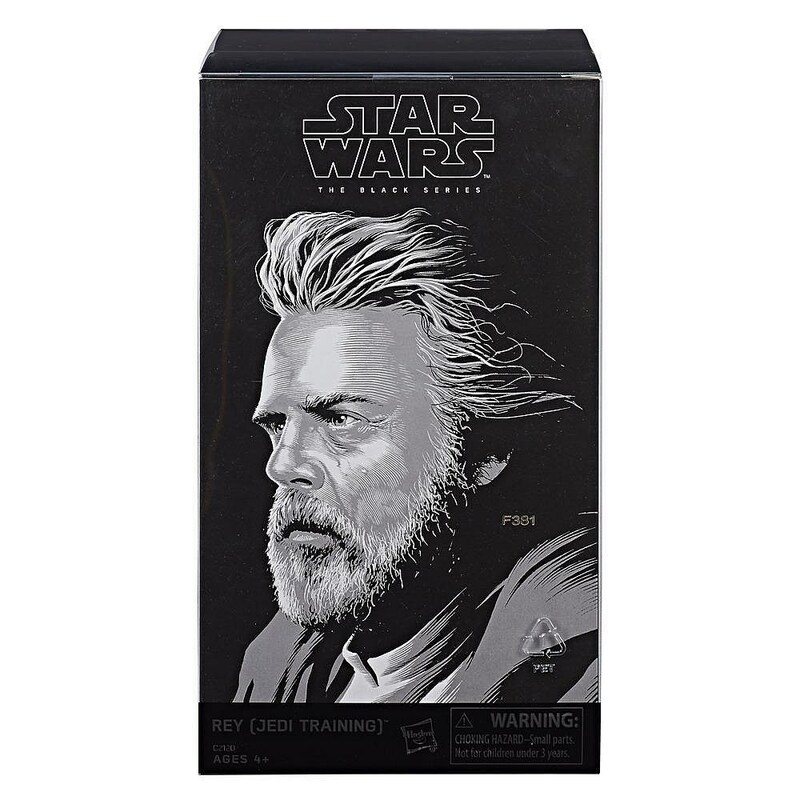 This is a rather big deal for a few reasons, but the major one is that this is our first chance to get a figure based on the reclusive Luke Skywalker. Different versions of Luke from every film have been released already, but it was the aging Jedi master that fans have been begging for the most over the last two years. With a fabric cloak and his light tan robes, this is exactly the toy we've all been patiently waiting for since December 18, 2015. Almost as important is this new Rey figure. This toy gives us our best look yet at Rey in her Jedi training gear, which we’ve only seen in vague promotional shot teasers so far. She still has her staff, but Rey's also still working with Anakin’s lightsaber, which she returned to Luke at the end of The Force Awakens. Additionally, this is the first 6” Jedi Rey figure we've gotten, which is great news for everyone. Notably, this set doesn’t come with Luke’s green saber, which could mean any number of things. That he's unarmed is certainly something to think about though. If you’re worried that these figures will only be an exclusive, don’t fret too much. Hasbro’s Black Series exclusives are merely early adopter-friendly. Every Star Wars Black figure that’s been an exclusive also saw an eventual retail release, though without “fancy” packaging. However, if you can’t wait until Force Friday II on September 1, those you who couldn’t attend will be able to pre-order this set, as well as the other Star Wars SDCC exclusives, in September at HasbroToyShop. 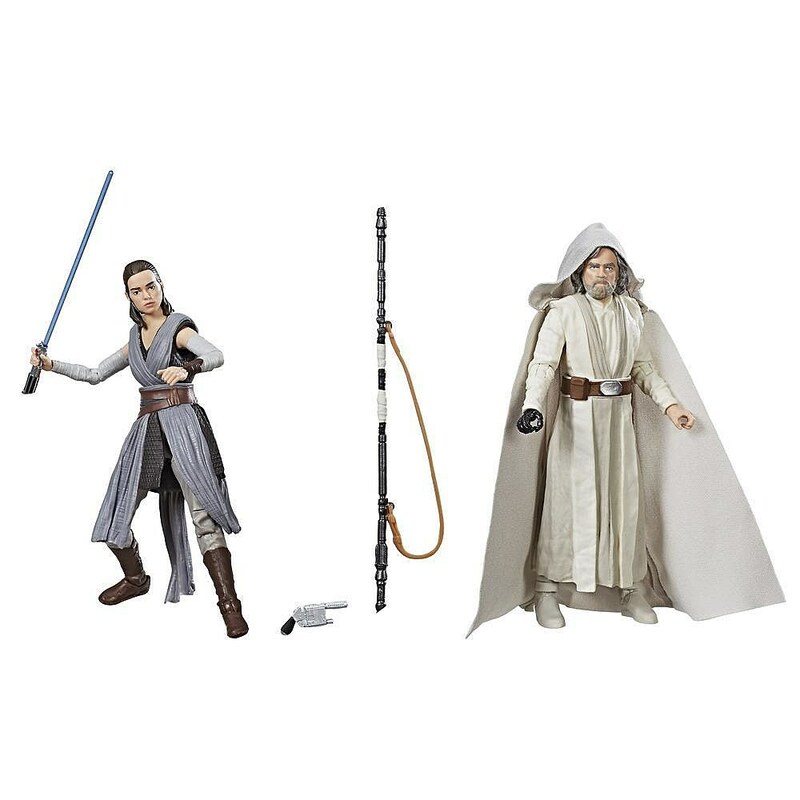 The Star Wars Black Series Luke Skywalker and Rey pack will be available at Comic-Con this weekend for $49.99.